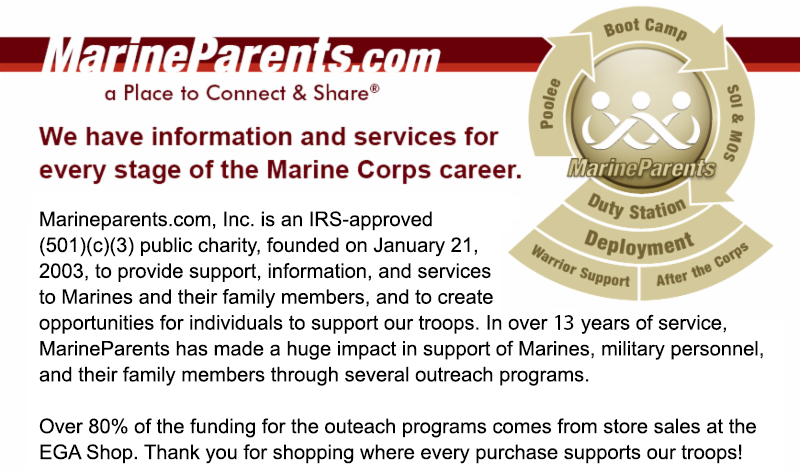 As 2016 begins, we hope that you, the Marine Parents family, has had a happy holiday season. Nothing we do would be possible without you, and we truly appreciate all that you do on behalf of our organization and on behalf of our men and women in uniform. Your unwavering support is the reason Marine Parents has been around for 13 years, and we look forward to seeing what 2016 has in store! Our West Coast Warrior Support Team volunteers recently handed out Christmas stockings to wounded and recovering warriors at Naval Medical Center San Diego (Balboa). Learn more in our first article. Last month, we introduced you to a group of women from the St. Louis area who made 70 Christmas stockings to be sent to wounded and recovering warriors at Naval Medical Center San Diego (Balboa). When the stockings arrived at our corporate office in Columbia, Missouri, Marine Parents staff members stuffed the stockings with a variety of "goodies" sent to us by an Eagle Scout, Elijah, from Minnesota. The "goodies" included decks of playing cards, chap stick, chewing gum, books, and various snacks, among other items. When the stockings arrived in San Diego, our West Coast Warrior Support Team volunteers under the guidance of WST-West Manager Dale Larson. All 70 of the stockings were handed out, and dinner was served to approximately 25 patients and family members. As always, a great time was had by all and we'd like to thank everyone involved for their ongoing dedication to supporting our warriors. None of this would be possible without you! *Image info: From left to right, hospital staff member Norris and WST-West volunteers Paige, Corrie, and Logan show off the stockings they helped hand out. As the battle against the Islamic State group intensifies, the Marine Corps is set to lead the American fight against the group in 2016. With the Marine Corps Special Operations Command (MARSOC), which assuming command of Combined Joint Special Operations Task Force-Iraq early in 2016, MARSOC Raiders will provide the staff element for its next rotation, marking a milestone for the decade-old command according to MARSOC spokesman Capt. Barry Morris. *Image info: U.S. Marines fire a M252A2 81 mm mortar system during a live-fire training mission at Al Asad Air Base, Iraq, Oct. 24, 2015. These Marines are supporting Combined Joint Task Force – Operation Inherent Resolve, which has 65 coalition partners who are committed to the goals of eliminating the threat posed by the Islamic State of Iraq and the Levant. *Image info: The Rifleman's Creed. comprehensive review of the Corps' fitness and body composition standards. Commandant General Robert Neller signed an all-Marine message in November directing the command to look at the scoring on the physical and combat fitness tests as well as body composition rules like height, weight and body fat standards for all Marines. This review could lead to changes to scoring or events on Corps-wide fitness tests or the tape test, which measures Marines' body fat percentages. 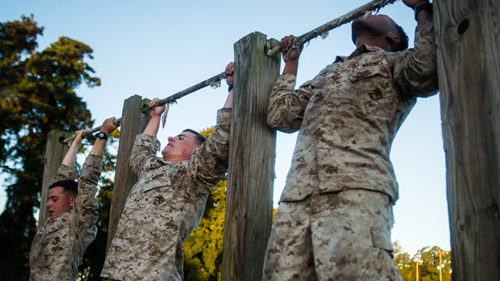 *Image info: Marines conduct pull-ups during a physical fitness assessment at Marine Corps Base Camp Lejeune, N.C., Oct. 20, 2015. 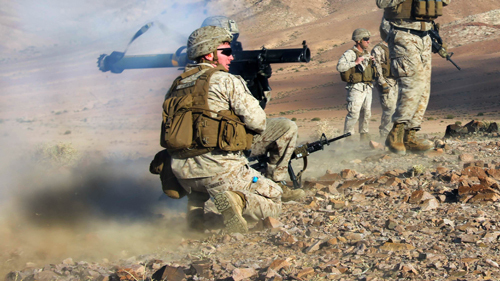 The Marine Corps has recently announced that the 1st Marine Expeditionary Force will receive 56 new and improved versions of the shoulder-launched multipurpose assault weapon (SMAW) in 2016. The SMAW MOD 2 will replace the 9mm spotting rifle with a laser designator and thermal boresight. 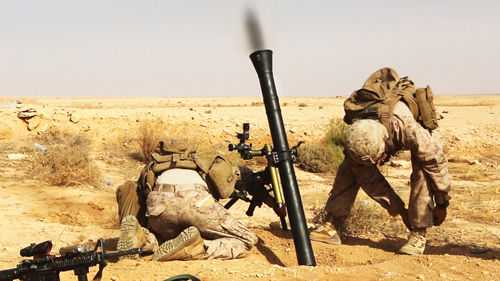 This change will improve accuracy and reliability, as well as reduce the amount of time the shooter is exposed to enemy fire while sighting in on the enemy, according to Marine Corps officials. The targeting system will use the same tubes, making it compatible with existing munitions, but it is not a retrofit. *Image info: U.S. Marines fire a shoulder-launched multipurpose assault weapon (SMAW) during live fire training Nov 24, 2015. This Monday, January 4, was the deadline for each branch of the military to submit their plans to the Pentagon to open approximately 225,000 previously male-only jobs to female troops over the next few months. The plans outline how each branch of the military intends to incorporate women into the newly-opened jobs, and will be reviewed by the Pentagon’s implementation working group. The decision to open these jobs to women was made last month by Secretary of Defense Ash Carter after years of research on the impact that integrating women into the traditionally all-male jobs and units would have on the military. *Image info: Pfc. 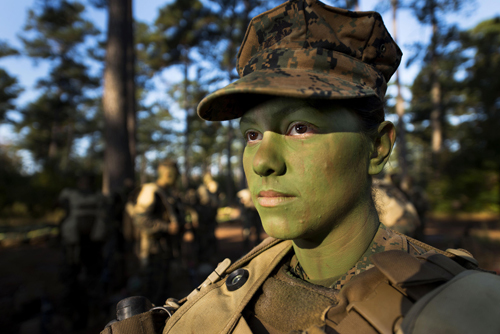 Christina Fuentes Montenegro prepares to hike to her platoon's defensive position during patrol week of Infantry Training Battalion near Camp Geiger, N.C. on Oct. 31, 2013. Fuentes Montenegro is one of the first three females to ever graduate from Infantry Training Battalion. 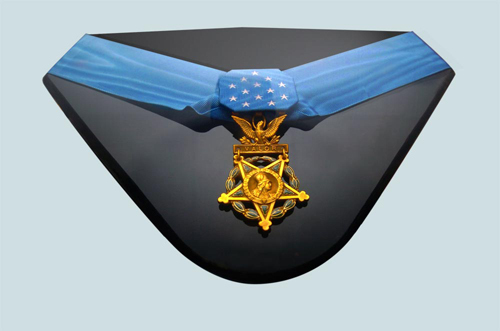 The Pentagon has recently announced that it is considering ordering the various branches of the military to review more than 1,100 medals issued since September 11, 2001, for possible upgrades to the Medal of Honor, the country's highest decoration for valor in combat. If the review is approved by Secretary of Defense Ash Carter, it would represent one of the most significant steps in decades to honor troops who have displayed extreme valor in combat. The Army and Air Force have agreed to review the Service Crosses and Silver Stars that they've awarded, but the Navy and Marine Corps oppose such a review because top officials, "...believe reviewing prior decisions undermines the integrity of commanders' decisions." According to a memo from Secretary of the Navy Ray Mabus, such a review, "may have long-term detrimental impact on our service culture and our awards program." 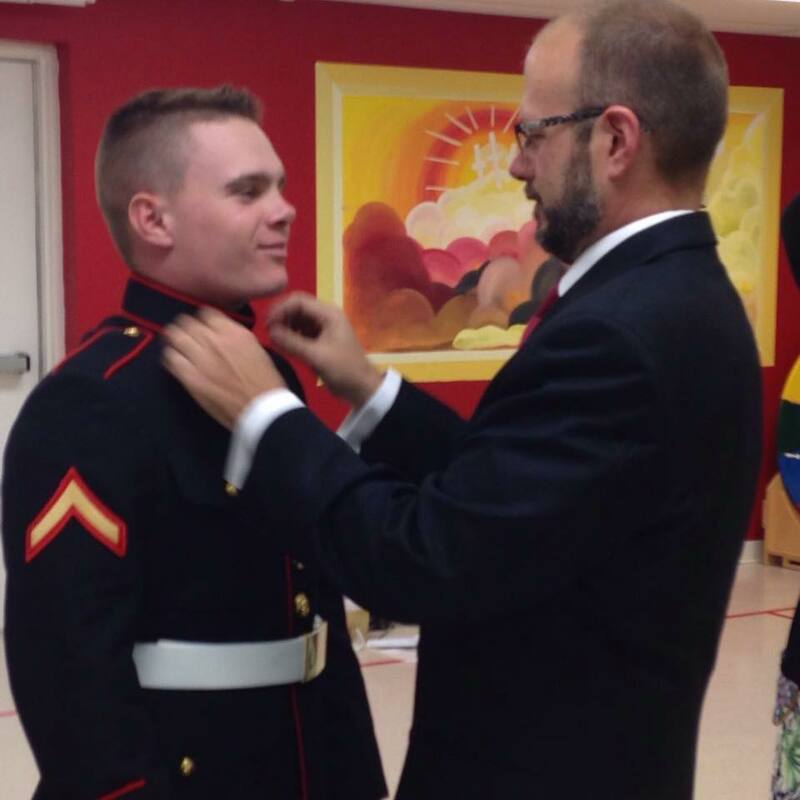 This week's featured volunteer is a proud Marine father--David Gold. David became the second-ever Marine Parents Facebook volunteer when he began volunteering his time on Jaunray 30, 2015 and is currently the 1st Battalion Company Leader, as well as the Battalion Leader for the Medical Rehabilitation Platoon. According to Marine Parents' Facebook Groups Manager, Teresita Reynolds, when David’s Marine was still going through boot camp and he stepped up , "How can I help?" " David’s giving spirit is abundant. He has and continues to inspire so many in 1st Battalion, Parris Island and throughout the Marine Parents Facebook pages," Reynolds says. 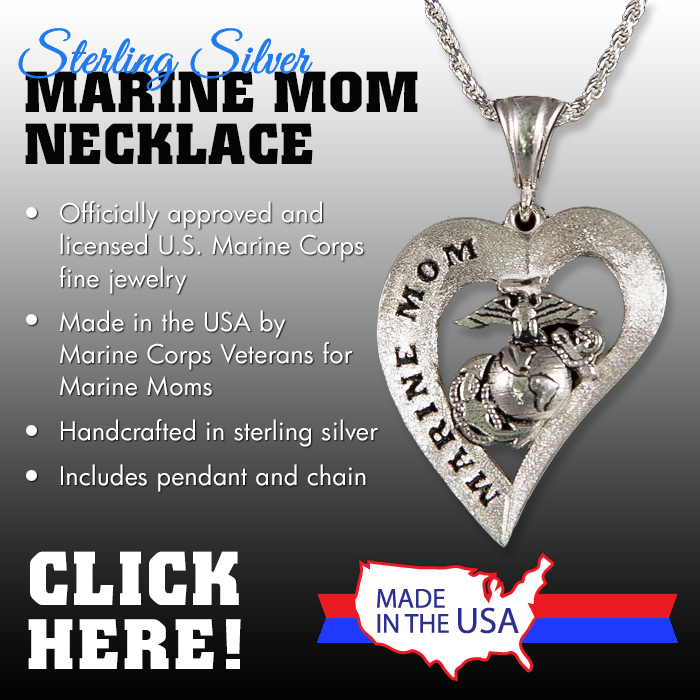 "For Marine Parents Facebook Parris Island pages, 1st Battalion has generated more volunteers than any other Parris Island Battalions combined!" In addition to being one of our most dedicated volunteers, David and his wife Jennifer live in North Carolina with their two dogs, Sugar and Remy. We'd like to offer a heartfelt "thank you" to David and all of our other amazing volunteers around the country. None of what we do as an organization would be possible without your unwavering support of our men and women in uniform. Your efforts on our behalf are truly appreciated. *Image info: David Gold and his Marine son.